Savour the sensation of breathing fresh unspoiled country air as you enjoy the privilege of riding your trusty MTB where wildlife roams freely. 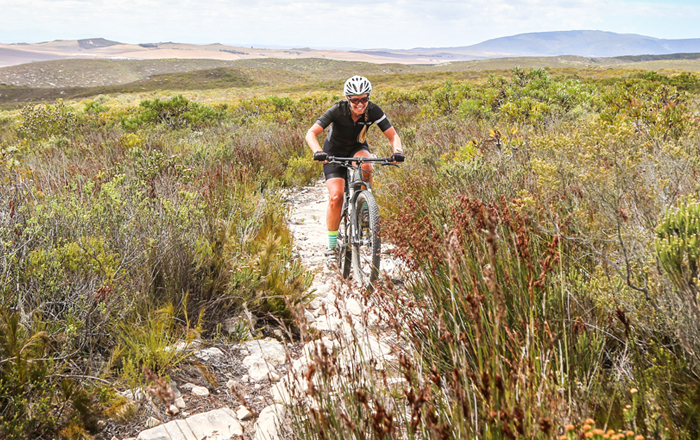 The countdown has begun for what is set to be an epic mountain biking weekend that is being hosted by one of Cape Nature’s largest nature reserves, De Hoop Collection. Sponsored by big names such as Sportsmans Warehouse, Specialized, Namegear, Thule and Helderberg Cycle World, this is an event not to be missed. There are loads of generous cash prices, specialized vouchers, MTB products and other surprises up for grabs. Competitors are encouraged to bring their friends and family along to this memorable outdoor experience that is guaranteed to rank tops in 2018’s outdoor events calendar. Participants and their supporters arrive at De Hoop on Friday 21 September and the three-night stay conveniently falls over a long weekend. 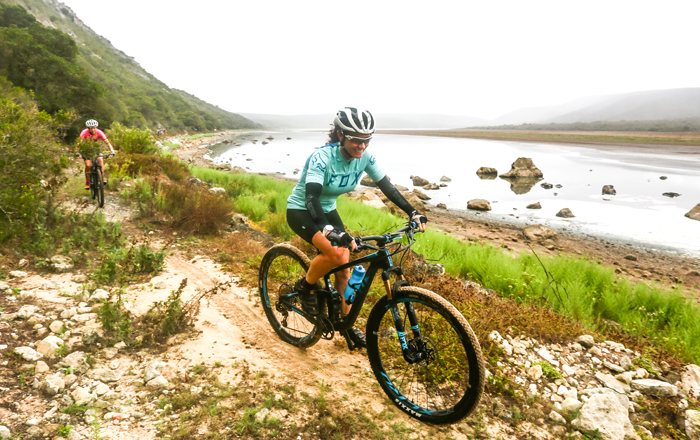 Covering 172 km over three days, the De Hoop Vlei MTB Experience is held with De Hoop Nature Reserve as its mesmerizing backdrop. This year’s event features entirely new routes and comprises of three challenging stages of 55, 65 and 52 kilometres in distance and with 900, 1,300 and 800 meters of climbing respectively. One of the new sections is the Renosterveld Reserve, which is located within the heart of the region’s wheat farms. Another is along the western banks of the De Hoop Vlei, where the historic 200 year old Melkkamer Manor house is situated and which has not been open to the public since the 1980s. The race route will circumnavigate the De Hoop Vlei on the final day of the event. The route will take contestants along game trails, 4×4 tracks, surrounding farms with colourful canola fields, limestone hills, grassy plains, snow white sand dunes and the gravel roads of the 34,000 hectare nature reserve. 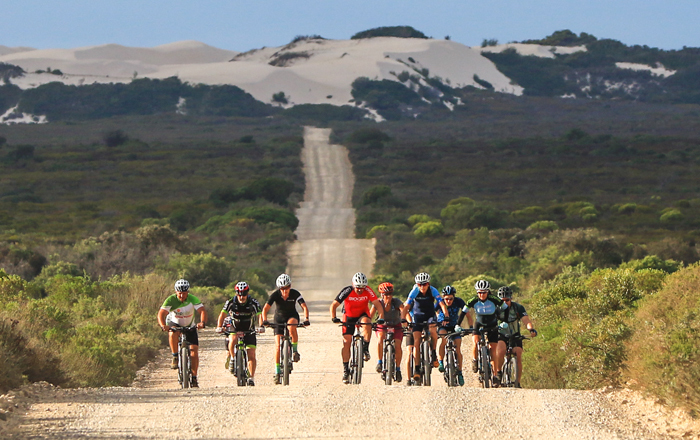 Riders will not only experience the excitement and exhilaration of the mountain biking journey, but will also have the opportunity to spot Southern Right Whales, Cape Vultures and De Hoop ‘regulars’ which include Bontebok, Eland, Cape Mountain Zebra, Baboons and the more than 260 species of birds that inhabit the reserve. The race entry fee includes basic tented accommodation as well as all meals for competing cyclists from Friday night through to Sunday afternoon. The MTB rider and support crew meals will be catered for by Antoinette Events, the Overberg’s premier wedding and functions catering company. Separate meal and accommodation packages are available for supporters. A host of fun-filled activities and adventures have been planned for spectators and the MTB competitor’s friends and families. There are family fun rides, trail runs, boat cruises on the vlei, environmental educational tours and nature walks that will take you through this spectacular Floral Kingdom and lead you along pristine beaches. This will also be the perfect opportunity to be treated to some pampering at the De Hoop Spa, where the tranquil setting and the rejuvenating treatments on offer will leave you feeling totally relaxed and refreshed. 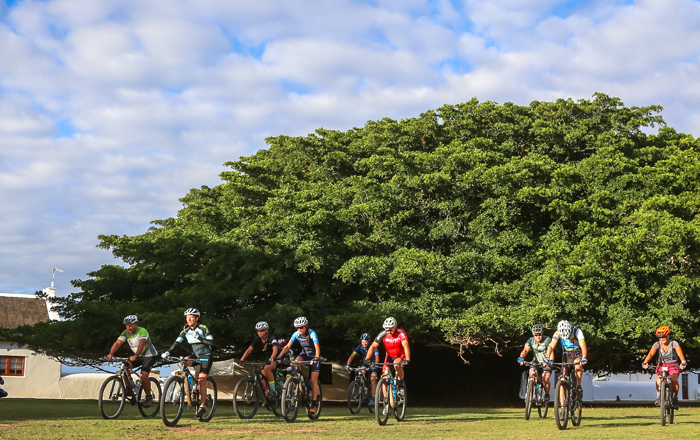 The De Hoop Vlei MTB Experience will conclude after a morning ride on Monday 24 September.